Based on Accenture’s forecast, the two project that the drop in individual premiums will begin in 2026 as more autonomous vehicles hit the street. Insurers could experience a $25 billion loss by 2035 as a result. Despite all this, Cusano and Costonis said that auto insurers have time on their side – the shift to fully driverless vehicles will be gradual. 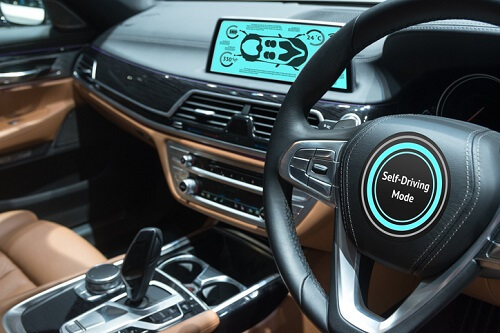 Until true autonomous vehicles (that do not require any manual control or intervention) are developed, Cusano and Costonis said that insurers can find new sources of revenue. The areas of cyber security, product liability, and infrastructure insurance can be great market alternatives for auto insurers, especially since driverless cars are sure to run into related risks. Build expertise in big data and analytics: insurers need to be able to control data generated by automated vehicles and the systems that support them. Develop the needed actuarial framework and models: insurers should be utilizing advanced actuarial and modeling techniques as cars add more autonomous features. Explore the partner ecosystem: insurers should collaborate with automakers, communication and software developers, the government, and so on. Think of new business models: insurers need to be able to transform themselves into large commercial insurers writing policies on a small number of very large risks. Will technology really hit brokers?